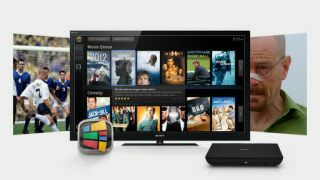 Google's Suveer Kothari has insisted that the current Google TV is an 'early step' in the company's television journey. With Sony's latest Google TV kit arriving this week, it's clear that Google is keen to continue its television project, and its policy of release then iterate is very much in place. Kothari – head of global distribution for Google TV – told TechRadar at a briefing that constant updates to the Android-based OS, along with new apps for the Google Play TV market will continue to improve the service. "Because it's Android based the [hardware] keeps getting smarter. As well as the apps improving, the operating system gets updated as well," he said. "Sony is our launch partner internationally but this is an early step in the journey – we see this going a long way. "There's a lot of innovation to be done in conjunction with our partners and that's what we are trying to do with Google TV." The smart and connected TV space is certainly a fascinating and ever changing area of tech, with televisions manufacturers and tech behemoths like Google and Apple, as well as cable and satellite operators all heavily involved. Google is confident that it can leverage its experience in the worlds of internet and mobile to good effect with Google TV, although it faces a battle to emerge as a clear leader.